California Sea Otter | Flickr - Photo Sharing! A California Sea Otter does an impression of Macaulay Culkin from Home Alone. matthew davis., wolfdyke, and 24 other people added this photo to their favorites. I'm jealous I didn't get this shot. You got some great photos on the photo tour today. Seen In The Group, That’s Getting Up Close! Flickr's Legend - Invited Images Only! Once you add, please tag your image with "FlickrsLegend"
omg !!! :o) Great shot !!! This image is a true Flickr's Legend! very funny...and great pose. nice work! 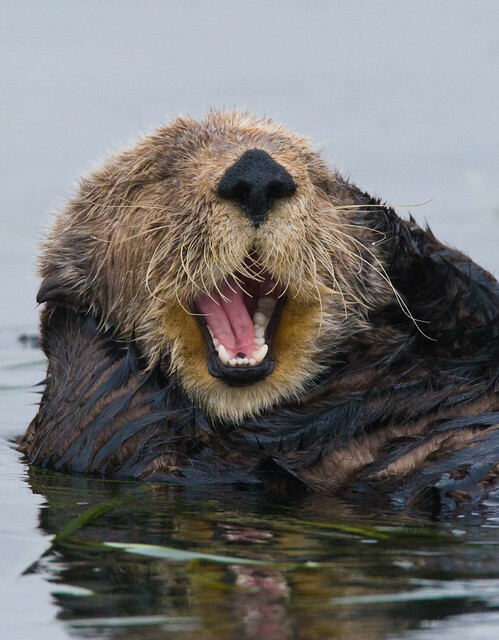 Great 600 +1.4 result - love the teeth showing in the sea otter - not so easy to get I know! Hi, I'm an admin for a group called Nature Nerds, and we'd love to have this added to the group! Great shot well done - was this from one of the sea safari boat trips please?